The Wylfa Nuclear Power Station Reactor One on Anglesey Island, North Wales, was shut down permanently on Wednesday after 44 years in operation. The next stage for the reactor will be to initiate the decommissioning process, which will include the elimination of fuel assemblies within the plant. 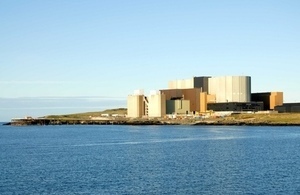 Crabb said the site will continue to be an important part of the U.K. nuclear power industry. Crabb said Wales’ economy will benefit from the decommissioning phase. “Anglesey’s Energy Island can help ensure that north Wales plays a key part in this vision, and the economic revival taking place right across the U.K.,” Crabb said. Want to get notified whenever we write about Wales Office ? Next time we write about Wales Office, we'll email you a link to the story. You may edit your settings or unsubscribe at any time.